Spreading the love, one playlist at a time. Everyone loves when they’re appreciated. It’s no different for us at The Sound Vision. We love what we do, and we love connecting with our clients on a level that lets them know we “get them”. We understand that technology can be overwhelming. We’re here to simplify it. We’re especially happy to see the look on a new clients face when they see just how easy state of the art home automation can truly be. We’ll show you too, but while you’re checking out the site, take some time and read just a few of our reviews. When you’re done, click the button below and let’s get started. We have worked with Jonathon and his team for over a year. We have had an outstanding experience, beginning with Jonathon’s professional guidance and advice regarding what to set up according to our individual needs. The installation of equipment went very smoothly and the best part of this company as far as we are concerned is the customer care. The instructions and follow up make using the system easy for two people who are techno-challenged! I highly recommend them. The guys from The Sound Vision were great! They were extremely helpful in understanding our needs and working around our schedule for the installation. The installers were very professional and did an amazing job in installing our new systems. They made sure my entire family was trained on how to use the new system and helped us with any questions we had. I would definitely recommend their services to anyone interested in upgrading the audio/visual technology in their home. I’m not a techy person and needed to update the audio-visual system for my residence. My job keeps me busy so not a lot of time to research options. 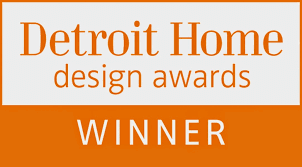 I first heard of The Sound Vision on the Houzz website and contacted them due to positive reviews and being located nearby. I was not disappointed. Jon the owner was responsive to all my calls and questions and helped in decision making on upgrades. Nick and Dan the installing technicians were obviously experienced and friendly. I was kept well informed as installation proceeded and most importantly educated in all the capabilities of upgrades. Do yourself a favor and contact The Sound Vision if considering an A-V project. The Sound Vision is the best around! Excellent customer service and a pleasure to work with. They have many different options for their clients and will work with you to find the best solution for you. The greatest most professional group I have ever worked with! I got the best products and the most attentive service. 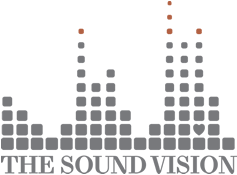 We could not have been more pleased to work Jonathan, Nick and the team at The Sound Vision. Projects like these require true partnership to understand what we were trying to accomplish. The team spent more time to really understand what we wanted, what could be done and to make that work within our budget. Then The Sound Vision executed on that, consistently on time and within our budget. They have always been accessible to us for questions/concerns and proactively followed up to make sure it was working for us. We can’t wait to do our next project with them. Jonathan and the team at The Sound Vision do incredible work. When installing my home automation system they were super personable, professional and had an attention to detail that matches my own. They made the install look effortless and I appreciated the time that Nick took to teach me everything about the system. I am officially hooked on automation. Professional and easy to work with. They quickly showed me I only needed to adjust some settings on my stereo and did not need new speakers as I had thought! I really appreciate their honesty! We had whole house a/v integration done with SoundVision, and to be honest gave them very short notice for a very large project to be completely ready to go for a big July 4th event. From the initial appointment Jonathan put us at ease, and promised the job would be done on time, and done to the highest standard. He took the time to break each room into a separate quote, allowing us to decide what we wanted prioritized. When the crew arrived with 5 days till party time they were extremely professional, and we felt very comfortable letting them do their work all day in the house, and these guys WORKED!! !…Often they were there until 8pm or longer, to ensure everything was done. There was minimal disruption while they worked, and they left the house spotless after they were done. My wife and I are thrilled with the results and actually have already contacted Sound Vision about a quote for integrating lighting/thermostats and security. What a phenomenal team!!! Rude (Dad’s favorite too) -Magic!